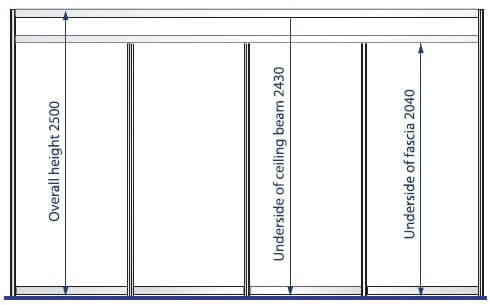 These shell scheme dimensions are for our standard shell scheme design and can also vary depending on the nature of your project. Please check with your project manager for actual shell scheme technical information including dimensions and designs. The dimensions below cover fascias, wall panels, poles and beams. If you have a question about your event’s technical detail then please discuss it with your shell scheme project manager. You can call us on 01793 613088 or you can also speak to the event organiser.